As a strategic image consultant, my clients are always asking me for makeup and skincare recommendations. I’m pleased to share these high-quality, healthy products that I believe in and even use myself! They’re safe for your body and good for the Earth, plus they look and feel amazing, which is why I’ve partnered with Beautycounter. 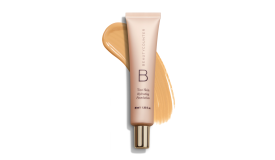 I’ll work closely with you to provide recommendations during your Beautycounter experience—think of me as your personal shopper for makeup and skincare! And I’m always glad to answer questions about Beautycounter’s products and which selections are just right for your skin type, coloring, and personal brand. Just contact me to ask a question or to place an order. These Eye Duos make eye makeup easy! Each classic shade was designed to be the most flattering version of that color family for all skin tones—no more guesswork! And the two complementary shades will shine together or alone. The satiny powders go on smoothly, moisturizing the delicate skin around the eyes with Porcelain Flower Extract, a Thai bloom known for its antioxidant benefits. Even the container is made of FSC-certified paper, which is earthy friendly! KAY SAYS: I cannot stand mascara that clumps, and this doesn’t. I like using the lengthening mascara as a base coat on my lashes, and then applying the volumizing mascara over the top when I want more impact! Newly reformulated for easier removal and zero flaking. Add alluring length and definition without the harmful ingredients. 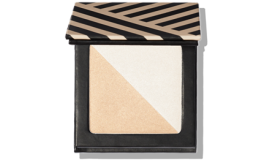 The smudge-proof formula stays put all day, yet can be removed in the blink of an eye. 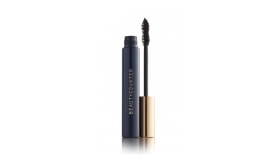 Nourishing botanical ingredients such as organic bataua oil and carnauba wax help condition lashes. The unique precision brush perfectly separates, defines, and coats each lash. 100% agreed mascara lasted all day and was easy to remove. 97% reported seeing instant length and definition. 96% said mascara did not clump. The best-selling Tint Skin Foundation is a lightweight, creamy foundation that cares for your skin and lets you pick your own coverage level, from medium to barely there. Eight highly blendable shades means there's a foundation for every skin tone! The formula goes on seamlessly and blends effortlessly to even skin tone and cover imperfections. And sodium hyaluronate, a natural moisture magnet, promotes smoother-looking skin and reduces the appearance of fine lines and wrinkles. KAY SAYS: This is the first Beautycounter product I tried, and I love it! My mom is already addicted too because it really does penetrate the skin and moisturize versus most products that simply sit on top of the skin. The additional benefit is the scent—fresh citrus! For someone like me who really doesn’t prefer fragrance, it is so wonderful to have a lotion that is only scented with natural products. 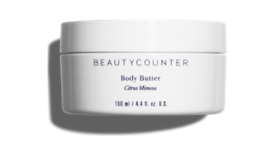 A rich body butter that absorbs easily without feeling greasy, perfect for very dry skin. Shea butter and mongongo oil hydrate and nourish skin, while organic sunflower oil, aloe, and chamomile soothe and smooth. KAY SAYS: I like to mix several drops of this oil into the Body Butter, and what a difference I have seen on my arms and legs. The oil is also great to add a little sheen to your skin when you have on a skirt or a sleeveless top. Instantly absorbed and intensely moisturizing, this nourishing blend of 13 botanical oils leaves skin smooth, silky, and luminous, while hints of grapefruit, sweet orange, and rosemary create a beautifully complex yet subtle scent. KAY SAYS: A little miracle in a jar! First, so convenient because I don’t waste product saturating an ordinary cotton pad. Second, the texture of the pad gets my face super clean without drying it out. 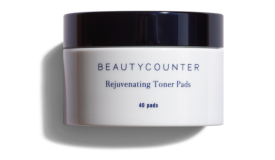 This little pad gives my skin that extra glow we all want, and adds the moisture that helps with the appearance of fine lines and wrinkles. Lightly scented with magnolia, these soft Rejuvenating Toner Pads are your first line of defense against daily stressors. Mixed fruit acid complex and vitamin C supply skin with antioxidants and reduce the appearance of fine lines and wrinkles, while lentil seed extract tightens and refines the appearance of pores. 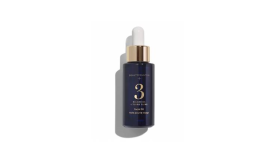 Algae extract brightens and improves the appearance of skin tone, and Spilanthes acmella flower extract gives skin a firmer, more youthful look. 73% experienced a significant decrease in pore count. KAY SAYS: My husband borrowed this from me and I don’t think I am getting it back! Men love this nutrient-rich kaolin clay mask, and it's great for all skin types. Activated charcoal purifies and balances, absorbing excess oil and drawing out impurities. The mask minimizes the appearance of pores, giving skin a smooth, refined appearance, while salicylic acid stimulates exfoliation. 87% said mask helped clarify complexion. 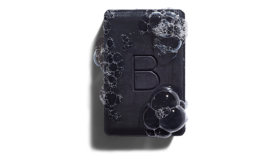 A smoother, brighter complexion awaits as the best-selling Charcoal Cleansing Bar detoxifies and absorbs impurities in your skin without drying it out. Made with antioxidant-rich, organic green tea and hydrating organic coconut oil, the gentle formula can be used daily on your face and body. 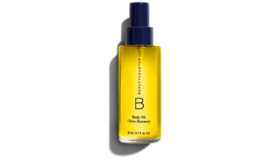 Lightweight and silky smooth, seven natural oils moisturize, smooth, and help even skin tone. Softening meadowfoam seed oil restores balance, while wild chamomile calms and soothes skin. Perfect for all skin types and those concerned with skin clarity, calming, and balancing.